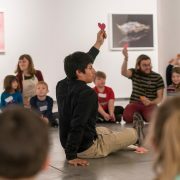 Maine College of Art’s 10-month Master of Arts in Teaching (MAT) Program prepares artists to become eﬀective art educators who learn to translate their unique qualities into creative teaching practices. The 10 month MAT is divided into three phases: a one-month summer intensive where theory-based courses are taught in an institute-like setting with field experiences beginning on the very first day; a fall semester of courses that include studio art, teaching methods & curriculum building, work in alternative settings, and a consideration of how to manage a classroom for all students; and a spring semester that culminates with a 15-week student teaching experience, enhanced by an action research seminar.The program starts early and ends early so candidates graduate in time to apply for teaching positions immediately as they open. Watch our YouTube live recording of the 2018 MAT Open House. Hear a panel of alumni answering questions from prospective students, and current faculty describe the program in detail. 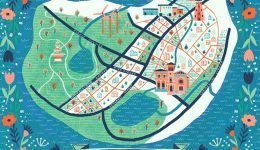 View the MAT ’18 Brochure here. MAT 800 The Artist as Educator Experience: Art Studio Component (3 credits) This course continues into the fall. *For full course descriptions, email Graduate Programs Admissions Counselor, Adrienne Kitko, at akitko@meca.edu or call 207.699.5023. Formally or informally reflecting on each experience in MAT, no matter how monumental or routine, was greatly responsible for the development of my philosophy of education. Continuously reflecting and examining my practice or the practice of my peers, mentors, or professors, was critical in shaping my understanding of what makes a successful educator, and these are values that I have carried with me into my first year of teaching. I couldn't have [gotten a job offer] without everything that went into the last 10 months at MECA. I worried and super-prepared before my interview, but once I was there, I felt comfortable and able to speak confidently to their questions. I'm really happy about pursuing these next steps as an art educator and am grateful for how the MAT program both prepared and inspired me. We’re the ones who someday will be the art teacher in high school that you all loved. We’re the ones who might be the middle school art teacher whom you don’t really remember, but somehow it was still your favorite class. We’re the ones who want to tell the schools, the parents, and the community, how important the arts are. I am very happy to be able to pass along the news that I was hired as an art teacher. I am grateful for the encouragement and support that MECA had given. Reading my reference letters again helped me remember how much we learned at MECA and remind me that I'm ready for my own classroom! As part of the school’s program, all faculty members are required to take workshops in scientific inquiry and investigation. As the only art teacher there, I felt a little out of place that first day. However, because at MECA we talked a lot about inquiry, project-based learning, and the incorporation of interdisciplinary knowledge, I was definitely ahead of the game, and was able to very quickly validate my place at the table. 55% is the national average for arts alumni that work as professional artists. 45% is the national average for arts alumni that are self employed, independent contractors, or freelance workers. Collaborate with your cohort, try to stay calm under the pressure, and remember we are all here for the love of life and art. Yes: Advanced Photography students created cover art for the recent production of Animal Farm by our theatre team. Students brainstormed ideas, worked with production teams and organized and edited in Lightroom and Photoshop post-production. We submitted cover art proposals and student artwork will be included on the production bill play, sweatshirts, and promotional posters. We are now starting a unit on Transformation and will be looking at artists such as Cindy Sherman, Alexa Meade, Jeff Gordon and others who blur the line between fiction and reality in their artwork. 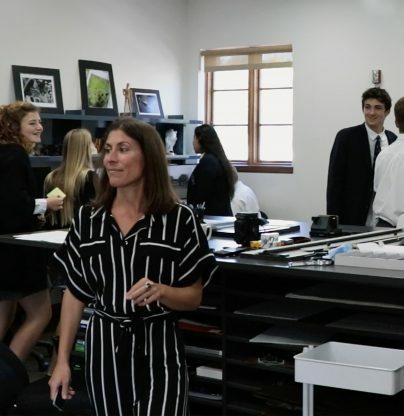 Preschool/High School Intergenerational project- AP and Advanced Photography students will work with educational teams and hopefully AP Psychology to merge pedagogical documentation and photography in this year-long documentation project in the Preschool. Student artwork will be included in the Preschool’s Reggio inspired end of year show ” Works of Wonder”. Our art department is going to Adobe MAX in October and I am really excited about that. 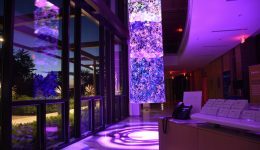 There are so many new advancements that merge art and technology that to have the opportunity to visit and explore emerging ideas and products at the convention is really exciting. I just printed my first C-print…ever! WHAT! color film printing is a true gift at such a poignant time as we continue to transition to new technologies. I feel lucky to now have the opportunity to print with the last color darkroom in LA. Collaboration, technology, and interdisciplinary skills. Has your life changed after graduation? Majorly. MECA opened new doors for me that have changed the entire course of my future. Since MECA I drove across the country, settled into a totally new environment in southern CA, and began shooting in film again. I still blend work and life pretty much daily. Do you keep in touch with anyone from MAT? Yes a few, I just reached out to a cohort member today (other than this interview). I write letters to my mentor teacher and we text each other as well. It’s hard to balance making new connections with moving on. Yes, I have been working on a painting series that began in Portland, ME. that started at Portland Pride, 2018. I was so overwhelmed by the positive connections I found when photographing Pride this summer that I wanted to continue it into a painting series (still at the beginning stages.) I am also developing some film photography. I am a member at a community darkroom in my area and just started printing at a color film lab. Alternative process and pinhole camera revisits are next on my list. It will prepare you for everything you will need to know or want to know. AP Studio Art College Board workshops. Going to one this weekend in Costa Mesa, CA. MECA’s MAT program is: “intense and authentic”. Portland is: “unique”. Learn more about Amanda on her website. 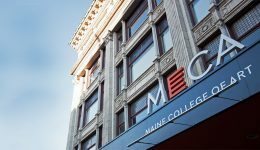 MECA has an amazing reputation, and the 10 month time commitment was perfect for a non traditional student like me. I had to leave my career to go back to school, and taking off more than 10 months would not have been financially possible. MECA’s MAT program is one of the best decisions I have ever made. Portland is my home, but is no longer the only important community in Maine to me. 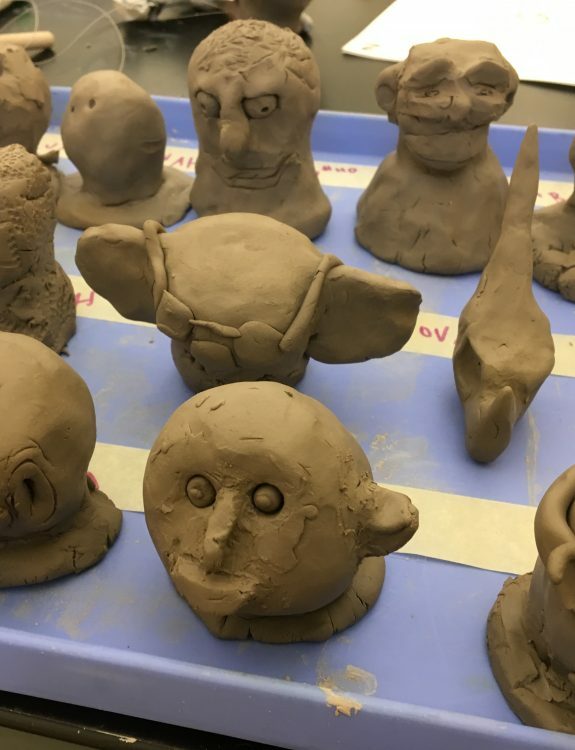 Everything is new and exciting to me right now, but in particular my 6th graders are starting a unit called Powerful Puppets inspired by Ashley Bryan’s amazing puppets. We are discussing the meaning of power and exploring how it can be visually represented in a puppet. I am also working with the other teachers in the district to plan the district wide art show, which is being hosted by the middle school. I have volunteered to plan and create a collaborative installation for the school foyer, so that’s a thrilling and daunting project on the horizon. I have felt extremely well prepared, especially around lesson planning and standards based assessment. Both the course work and my teaching internships were immersive and challenging, and ultimately left me feeling ready to take over my own classroom. I am a commuter now, and have to get up earlier than I’d like. It can be hard to find time to fit in some of the things that I enjoy, but I’m hoping that once I get more settled I’ll find more time for the things outside of work that are important to me. I still love living in Portland, but working in a new community has really opened my eyes. I have been so Portland-centric for most of my adult life, but it is exciting to have a whole new community to explore and learn about. Do you keep in touch with your cohort? Your professors and/or mentor teachers? Not as much as I’d like. The other middle school teachers and I share resources and text occasionally. I think we are all too busy for much social activity, plus many of us moved for great jobs elsewhere. I am not making as much of my own art as I’d like to, but I did experiment with more printmaking this summer while working at a summer camp on the beach. I made gelatin prints of seaweed, then added layers of silkscreened text over the multilayered monoprints. 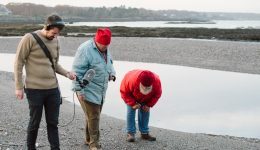 The effect is like looking down into a tide pool, and captures the positive and negative natural shapes and textures of various Maine seaweeds, contrasted with bold hand cut silkscreened text. The reputation, the job placement rate, the connections, and the incredible creative environment. 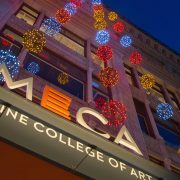 Enjoy every minute of your time at MECA, it is an incredible institution full of amazing young artists. Take advantage of the opportunities to learn and explore, don’t forget you are a student as well as a teacher in training! Art of Ed podcasts on my way to work, I keep going back to my coursework and lesson plans from our time at MECA for ideas and troubleshooting. I also follow certain hashtags on social media and have some middle school blogs that I enjoy. 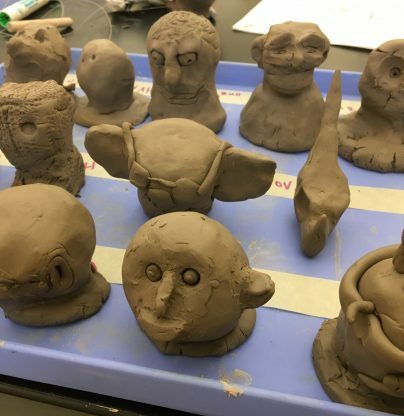 The Middle School Art Teachers Facebook page is also a great resource. You can view Sam’s Seaweed prints along with many other Maine art educators’ artwork hanging in the current MAEA show; opening reception on October 5th 2018, 4pm-6pm at MECA. Learn more about Samara on her website. Building imaginative conversation is the first step toward artist-oriented critique, and asking simple questions can lead to insightful observations. Think about it. When was the last time you and a friend discussed a really good book or movie and asked each other the names of the three major characters? In a forgetful moment, perhaps, but not as part of serious conversation. As a teacher, my rule of thumb has been: “If you know the answer, it’s not a question.” Not knowing what my students are about to say keeps our classroom inquiry alive and inspires me to learn alongside them. While aesthetics and traditional criticism have their place in formal learning, telling children what to see or asking them questions that you already know the answer to stands in the way of uncovering their excitement. Listen to the dialogue between young children. They are filled with wonderment. Yet, by the time we reach adulthood, that sense of natural questioning fades. So, how can we bring it back? Building imaginative conversation is the first step toward artist-oriented critique, and asking simple questions can lead to insightful observations. Last summer, I worked with a group of MAT students at the Portland Museum of Art to model one specific approach to discussing art called Visual Thinking Strategies (VST). The approach seems overly simplistic to trained artists, and I had a near revolt on my hands when I asked my group to respond to modified versions of VST’s three basic questions: What do you see? What in the painting makes you say that? What other ideas does the group have? Instead of replying, they hijacked the conversation and began talking about what they liked and didn’t like about each piece of art and whether or not they thought the drawings, paintings, and sculptures had been properly executed. Erudite vocabulary poured from their mouths without much excitement. To a person, they refused to stay with the VST questioning technique. Finally, I asked the girl, “What made you choose this picture?” She looked straight up at me and said, “He scribbles like me.” As her words tumbled out, I glanced down to see that her sketchbook was actually a small coloring book and she had scribbled all over the pictures on each page. 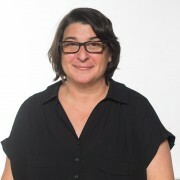 Fern Tavalin, Professor and Program Chair of Master of Arts in Teaching at MECA, is a creative educator whose work is nationally known for its technological innovation in using multimedia and telecommunication to improve student learning in the arts and humanities. 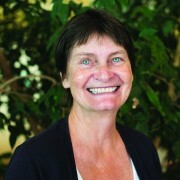 She has spoken widely on topics including arts assessment, technology innovation, project based learning, primary source investigation, and the development of digital portfolios. Header photo by Kyle Dubay ’18. ..a bunch of kids from around this planet taught me that a book’s job is to connect. And if it does, that’s enough. 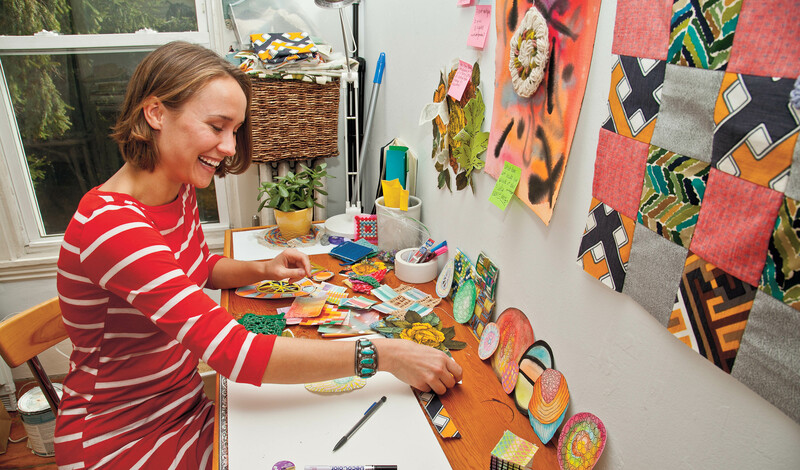 Maine College of Art’s ten-month Master of Arts in Teaching (MAT) Program prepares artists to become effective art educators who learn to translate their unique qualities into creative teaching practices. 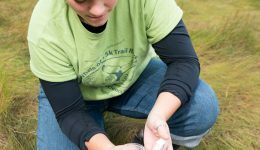 Fieldwork and community engagement are essential components of the program. 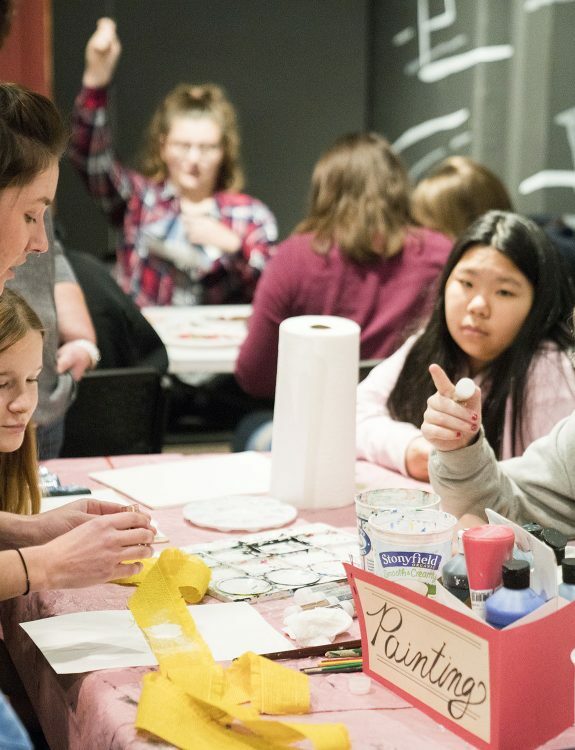 Like most students at MECA, the MAT candidates can be seen working in a variety of settings across the greater Portland area, including schools, museums, and community-based learning centers. Through MECA’s MAT 809 Alternative Settings for Art Education class, community placements serve as a resource for informing classroom practice while MAT artist/teacher candidates explore, develop, and participate in engaging with intergenerational and multicultural community sites in various venues in the Portland area. MAT candidates collaborate with local schools and teachers to conduct classroom visits, develop and lead gallery tours, and teach workshops, engaging elementary and middle school children by extending and integrating their academic knowledge through interdisciplinary and integrated lesson plans. Through this process, MAT candidates learn how to work collaboratively within their communities to create and document artwork that has a social impact. The Westbrook school system’s student body has changed rapidly over the last decade to include students from over 25 countries who now call Westbrook, Maine, home. 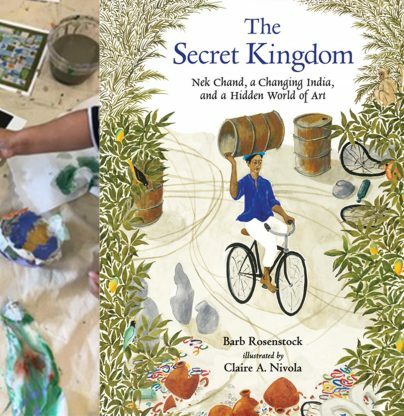 The art and life of Nek Chand, the true story told in the children’s book The Secret Kingdom, served as a jumping off point for lesson plans developed for elementary and middle school students in Westbrook by MECA MAT candidates in collaboration with the school teachers. Each teaching team returned to the partner school to hang displays and make the learning visible. This article was originally posted by CBETHM in Nerdy Book Club on February 13, 2018. “Your job is a teacher, mine is a writer. Or you’re a librarian and someone else is an illustrator. But what is a book’s job? When you’ve been working with children’s books for a while you can lose track. You start to believe that a book’s job is to sell a lot of copies or get made into a movie or always be missing from the shelves or have its title tweeted every ten minutes. A group of master’s level student teachers from the Maine College of Art in Portland asked to use my upcoming picture book, The Secret Kingdom, for a series of lessons. 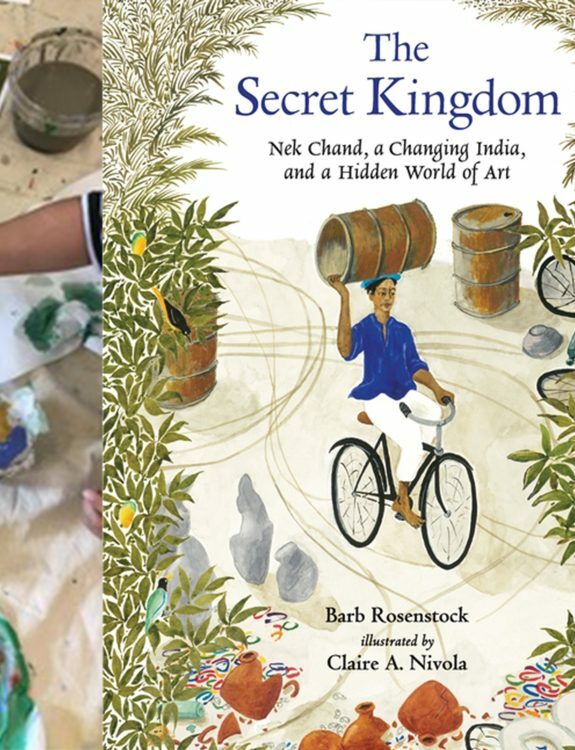 The Secret Kingdom (illustrated by Claire Nivola) is the story of Nek Chand, a refugee, forced to leave his home village during the partition of India in 1947. As an adult, Nek secretly rebuilt his home village using recycled materials. His creation is now known as “The Rock Garden of Chandigarh,” and is one of the largest folk or “outsider” art installations in the world. Portland is an official federal refugee resettlement city. These graduate in-service teachers, supervised by Kelly McConnell, worked in teams to create lessons for a suburban school system that has grown more diverse in a short time because of its proximity to Portland. 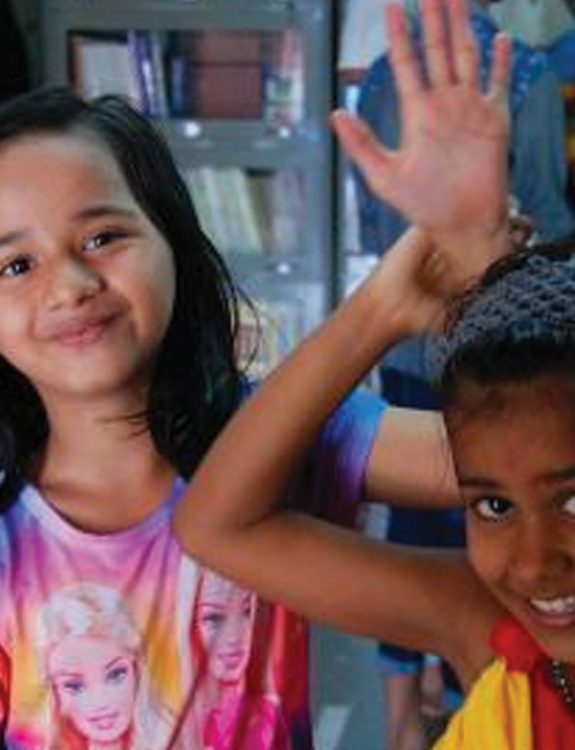 The district currently serves students who speak over 25 languages and have come from 66 countries to the United States. So, they defined home as a “safe space” and focused on school as a safe space they all have in common. Future teachers Samara Yandell and Hannah Bevens wanted to “translate a deeper and personal understanding of home to our students.” But they didn’t have much background on their 5th grade students, and worried about what the idea of “home” could trigger emotionally, especially for more recent arrivals. So, they defined home as a “safe space” and focused on school as a safe space they all have in common. They called their project Safe Spaces/Safe Sounds. After reading the book (and shocking the students that Nek’s kingdom is a real place!) they set out to share “belonging sounds” across cultures: a French cathedral, Japanese temples, and aboriginal wind chimes. Their students drew and created their own chimes using recycled plastics and paint. The chimes were hung in a school entryway (with a QR code so the process can be accessed!) giving students an auditory connection to this safe space. Making school a home. Coreysha Stone and Laura Berg’s essential question for their multi-day lesson was “Where do I belong?” In Story Bowl of Belonging, they shared an art/language activity that introduced artists as storytellers, pronoun usage, and what it means to belong in a classroom. Each first-grade student chose one object to put in a shared bowl. The bowl was ‘us,’ the objects “me” and “you.” They read Nek’s story aloud, discussed his community, used ELA standard pronouns, and shared artistic examples of bowls from Iraq and other countries. The lesson culminated in each student creating a paper mache bowl decorated with tissue paper, paint and images from The Secret Kingdom. The finished projects express unique ideas of self and community. Amanda Albanese and Raven Zeh focused on “What colors/textures, sounds/words make you think of home?” in their Haikus for Home lesson. Their 5th grade class discussed sensory triggers: tastes, smells, sounds, memories, and how we can bring home with us using art (brilliant! seriously.) Students interpreted the theme of home in Haiku form, combining original words with sensory language from the book. They used sound clips, world maps, plants, fabrics, ceramics, mirrors, musical instruments, and Nek Chand’s art as inspiration. Amanda and Raven took into account students with textural or sound aversions. The final project was a video in which each student read their watercolor haiku while their sound clip played. They showed their 6th graders samples of trees created by artists around the world. Students read and decided on The Secret Kingdom’s central themes. Nek Chand worked hard to plant gardens in his art kingdom, so Greta Grant and Tori Parsloe’s lesson, Tree of Life was intriguing. They showed their 6th graders samples of trees created by artists around the world. Students read and decided on The Secret Kingdom’s central themes. The 6th graders each constructed a plaster gauze branch and copper foil leaf sculpture (much like the wire frameworks Nek Chand used) to reflect their unique qualities. The leaves were embossed using a variety of tools. Some leaves contained symbols, or quotes, “Live life how YOU want” or “Just because my path is different, doesn’t mean I’m lost.” The individual branches were wired to a larger classroom tree to show how students’ personal traits contribute to the entire school community. While watching videos of these young students analyzing Claire’s illustrations, and working with Nek’s true story, I experienced their surprise, delight, and sometimes, their frustration. I noticed the patterns on their t-shirts and the embroidery on their headscarves, the shades of their skin and the colors of their artwork. I watched kids in one suburban school, from all over the world, engage with my words in a deep way. Most importantly, I watched them relate to a boy from India born over 100 years ago—a boy who was forced to go, but who found home again through his art. I have a moment of happiness, whether it’s a student finally getting what value is, or seeing their reactions to new materials during a demonstration, that’s when I’m surprised— it’s an amazing feeling and a constant reminder that I made the right choice in becoming a teacher. As the Master of Arts in Teaching program enters its sixth year, recent graduates have begun their careers working side by side with seasoned alumni. Fern Tavalin, Department Chair, posed several questions to Ceri Nichols ’15 and Emily Rupe ’17 to find out what it has been like for them. Their written responses tell a compelling story. 1. Tell me a little bit about your teaching job. We teach at Greely High School, which is located in Cumberland, Maine and serves both Cumberland and North Yarmouth residents. The school has about 675 students, and the two of us make up the art faculty for the high school. 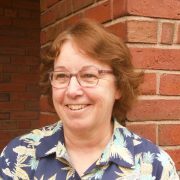 Ceri is full time and teaches Foundations of Art, Painting, IB Visual Art 1 & 2, AP Studio Art and Art II. 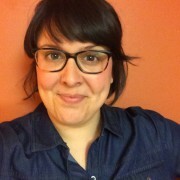 Emily is part time and teaches Foundations of Art, Art II, and Digital Art and Photography. We both have advisories that all meet together on a daily basis, and Emily is the advisor of Art Club and Photography Club. Our department is a unique one that consists of Visual art, Music, Theatre, Health, PE and Special Ed. We meet on a bi-weekly basis to discuss school wide information as well as our discipline-specific issues. Our rooms are rarely empty, even when we have prep time. We have a block schedule that consists of four 84 minute classes. Most classes consist of some sort of demonstration or introduction, often connecting to art history or contemporary art, studio time, and sometimes critique. We both teach Foundations of Art and Art II, and have worked to create a shared curriculum that ties directly to the Maine Learning Results. Something that we both enjoy, in addition to structured objectives, is the ability to make the curriculum our own. Most of the projects that our students complete in those classes result in a very similar product, but the process of implementing these lessons is where we are able to be creative and flexible. In these classes, we teach through the Elements of Art and Principles of Design and a variety of media including drawing, painting, printmaking, clay, and mixed media. 2. To what degree was being an MAT from MECA considered in your hiring? 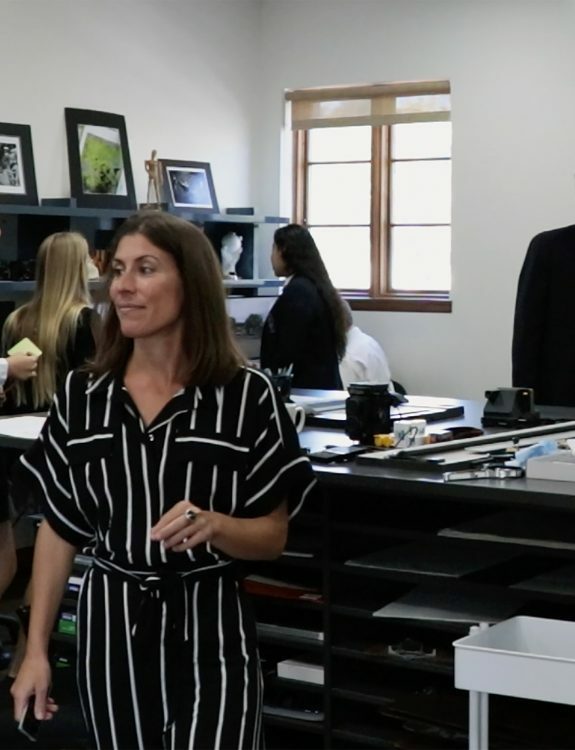 Ceri: The art teacher on the hiring team was in close connection with Kelly McConnell, who played a big part in the recommendation process. MECA has a great reputation when it comes to preparing their teacher candidates for jumping into a teaching job. One of the things I was told really helped my application and interview was the visual aid I created and brought for the team which highlighted work I had done throughout the 10 month MAT program and included my teaching philosophy. Emily: Ceri was on the hiring committee in search of a new art teacher last year. Kelly McConnell offered recommendations for MECA alums which made a big difference, especially when it came down to finding a teacher that shared the same educational philosophy and background. Knowing that we had the same background felt great, because it gave us something to connect with but also because in such a small department, making decisions together is inevitable and having similar experiences gives us an automatic team mentality. Ceri: I was also just really excited by how organized Emily is, I knew we would get along! 3. What are some things from your experience at MECA that you found helpful as a beginning teacher? Concrete observation was something we learned how to do in the Summer Institute with Fern and it has come in handy when reporting on students’ progress and accommodation success for their IEP or 504 meetings. Our prior knowledge and comfort regarding concrete observations is something that will also be beneficial when Greely begins the peer mini-observation process this spring, where teachers will be observing their colleagues and offering feedback that is tied directly to the Danielson Framework. Ceri : When writing a standards based curriculum from scratch, having the experience in planning units and scope and sequence development has been great. It’s given me the confidence to think big picture, and make decisions, and I’ve really grown to enjoy it. In addition to that, creating standards based rubrics is coming quite naturally to me now that I’ve had years of experience doing it, starting with MECA. Mentorship during student teaching has been a great resource as a new teacher. We both have used our mentors to help us through the beginning stages of starting our careers. They’ve been so helpful with problem solving and advice. We still think of them often. Ceri: Photo Documentation is a wonderful habit to have in the classroom. It helps with reflection, and is really great with jogging my memory when I’ve gotten lost in the whirlwind of the school year. It also helps to have photos when yearbook asks you for them, and when we have our Tribute to the Arts day and show a slideshow of our students and their work. 4. What is it like for you to mentor/be mentored by a fellow MECA alum? Are there some aspects of your training that make it easier to talk to each other? Ceri: It’s great to know the same local resources and share some of the same experiences from the program. Working with someone who has the training in standards based learning is great because it is such a significant part of what we’re doing right now at our school. I also think that learning to look at teaching as an ever-changing process that only gets better with reflection is really great. It makes the environment feel easy and challenging all at the same time. Like we’re both ok with adjusting and reflecting and growing. It makes it fun. Emily: The MAT program really stressed the importance of collaboration and maintaining a team-work mentality, and the fact that both of us have that skillset and interest is something that has made working together really enjoyable. I think that our communication surrounding both summative and formative assessment that is directly tied to standards is very clear, and Ceri has been really helpful in mentoring me as I entered the dual grading system that Greely uses. This is a huge transition in terms of assessment for the HS this year, but I feel confident in my grading because of my education and Ceri’s shared knowledge. Ceri: For me, when I’m in the middle of my day, surrounded by students, supplies, emails, and to-do lists and I have a moment of happiness, whether it’s a student finally getting what value is, or seeing their reactions to new materials during a demonstration, that’s when I’m surprised- like “this is my job?” or “am I really getting paid to do this?” It’s an amazing feeling and a constant reminder that I made the right choice in becoming a teacher. One of my fears was losing the time to make my own art, and yes at times (like any time in May) it’s impossible to fit it in, but even just making example pieces can feel really good. And the students’ work is inspiring! I get a lot of ideas from them. Plus, teenagers are just great, most of the time. 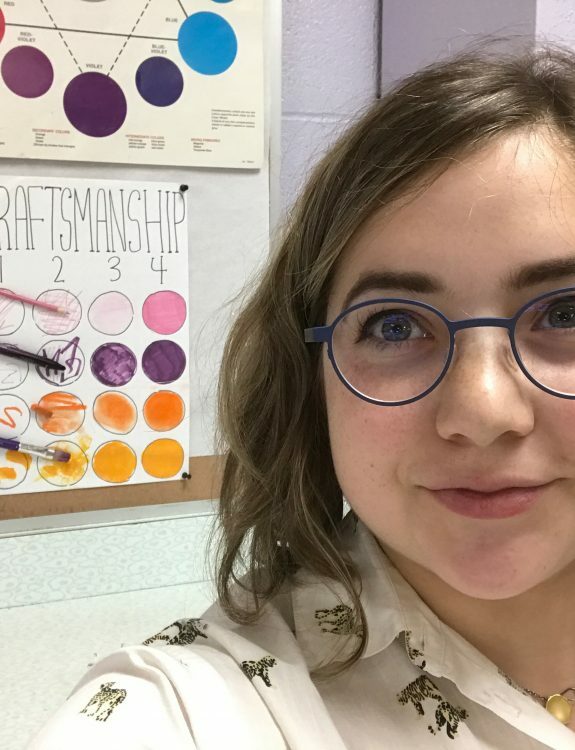 Emily: Everyday I’m surprised by how much my students are teaching me, things like a new perspective to offer when demonstrating materials or content, or the best way to facilitate them towards achieving success within the classroom. Some of my students are so passionate about art or eager to incorporate their own interests into their artmaking. They’re introducing me to tools and techniques to plan and make art with that I would not have automatically included in my classes – like programs to create digital illustrations with, or ways to merge civil engineering computer programs with ceramics and watercolors. I’ve just embraced this role of being a co-learner, and it’s definitely helping to improve my connections with students in the now, and will absolutely be guiding my planning and instruction in the future. Masthead image: Ceri Nichols ’15, left and Emily Rupe ’17, right. 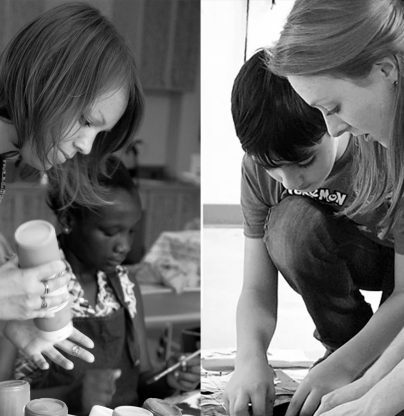 Most students graduate from MECA’s Master of Arts in Teaching Program and seek traditional employment as elementary or high school art teachers. 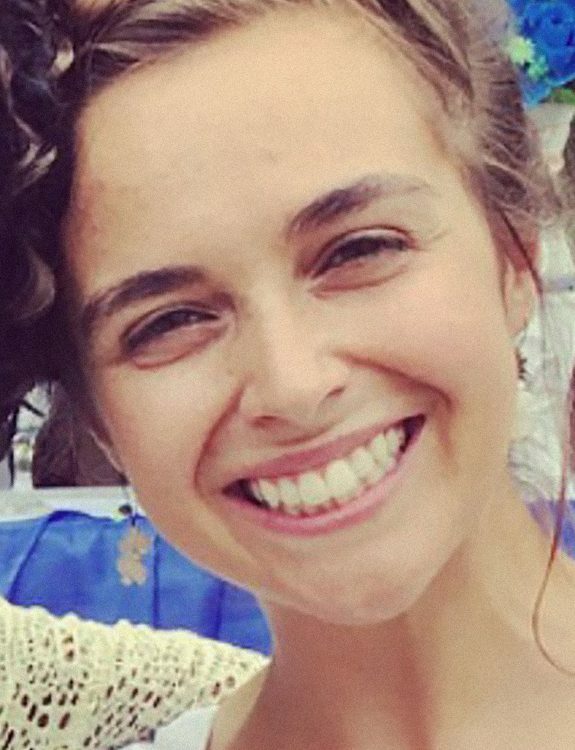 Leonetta “Lia” Petriccione MAT ’15 had other ventures in mind. 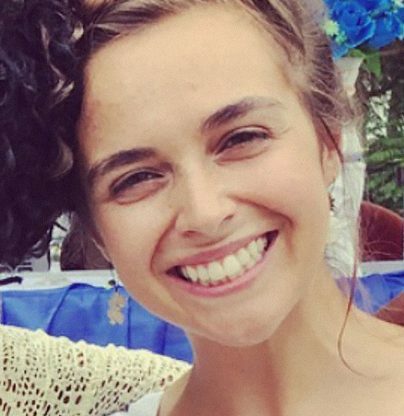 After substitute teaching in her home state of Montana, Lia joined the Peace Corps. 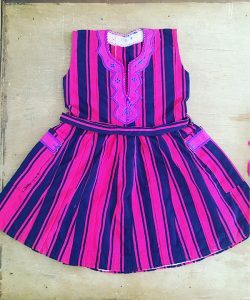 Following a rigorous screening process, she found herself teaching at the Wa School for the Deaf in a rural area in the far north of Ghana in West Africa. 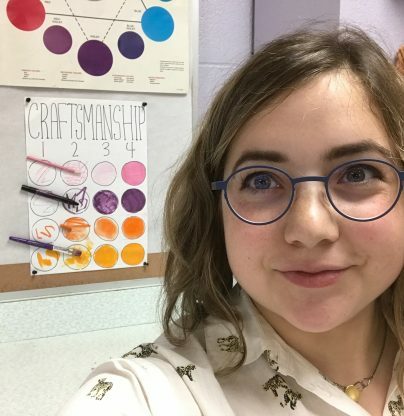 Lia’s own entrepreneurial spirit, deepened through her MAT Alternative Settings coursework and the values of MECA’s Artists at Work Program, has reinforced a practical component to her teaching. 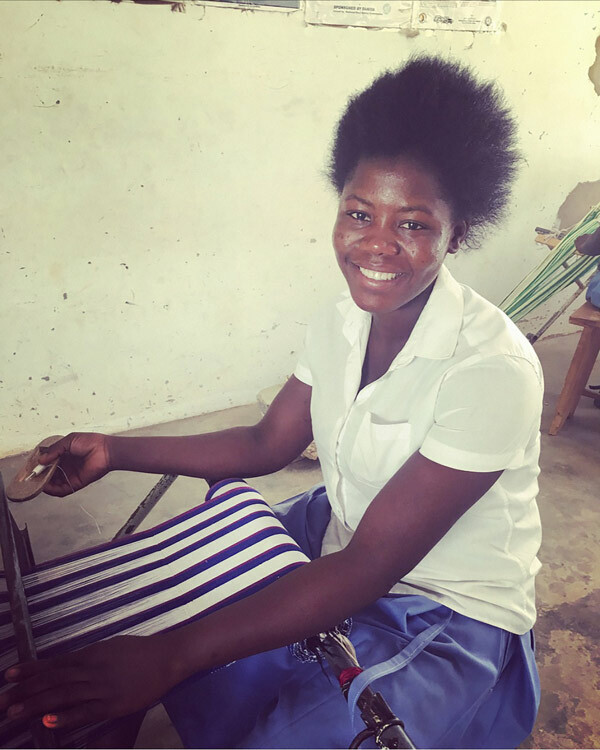 She sees potential in the vocational program, and her goal is to help realize its business potential. Art is a form of empowerment, solidarity, and a means to find peace in this world. While most graduates prefer teaching jobs in PK-12 schools, Matt Braun had a different idea. 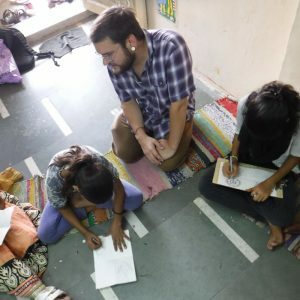 He chose to move to Mumbai, India to begin his career at Ascend International School, an interactive laboratory for learning that reflects many of the same values as the MAT Program: inquiry, high expectations, community of learners, collaboration, and an appreciation for cultural richness. Matt enjoys his position at Ascend, but is especially passionate about his afterschool volunteer work at the Dharavi Art Room. Dharavi is a neighborhood in Mumbai that has been labeled the largest “slum” in Asia with over one million people living in less than a square mile. 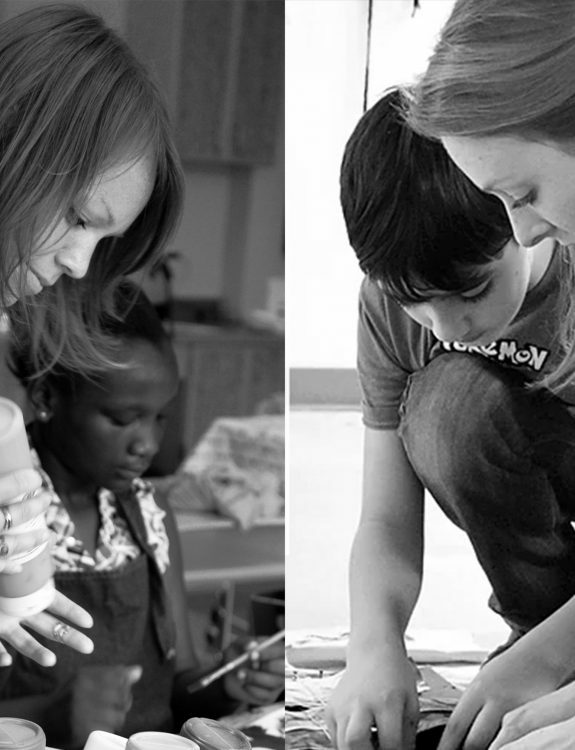 The Art Room provides a safe place for children to play, learn and express themselves. They explore personal and neighborhood issues through artistic mediums, widening the communication between disparate groups within the larger community. 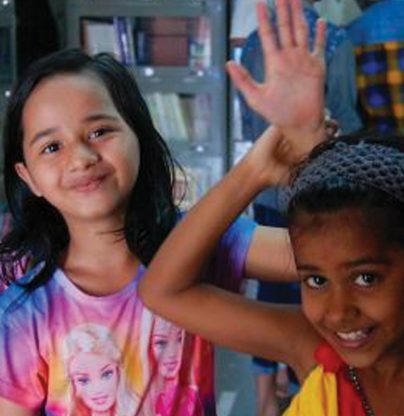 What better way of promoting the mission of the Dharavi Art Room than through printmaking? That’s where Matt and his artistry come in! Matt has spent his adult life as a printmaker and art activist. Having facilitated printmaking projects with students in Nepal prior to enrolling at MECA, he deepened his knowledge of teaching and learning while completing the MAT program. The college’s value of community engagement shines in Matt’s activism. Printmaking, the process of creating multiples, has a long history of making art accessible to all and spreading it to the masses. During an upcoming project, children from the Art Room will explore printmaking as a way to share their own thoughts and stories. 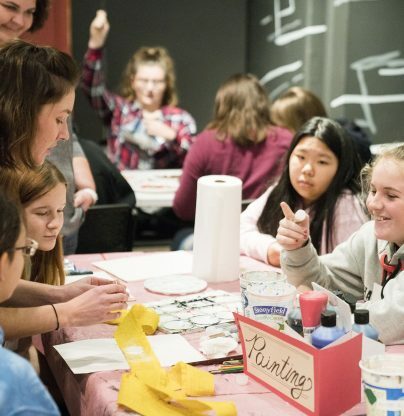 Each child will learn about the printmaking processes, explore mono-printing and create their own original linoleum relief prints that will result in a group exhibition. They also hope to put together a book documenting the workshop and the artwork created during this project. Matt would like to assemble printmaking kits for the Dharavi Art Room that include linoleum plates, water based inks, carving tools, brayers and other materials for the workshop. To achieve this goal, he has stablished a funding site to help defray costs. Funds will also be used to help support a group art show where the children will be able to exhibit their artwork. 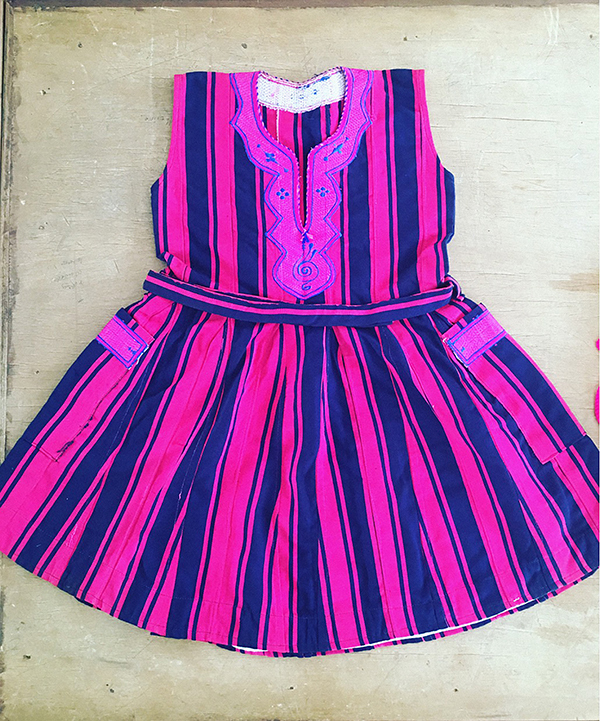 Learn more information about Matt and Dharavi Art Room.